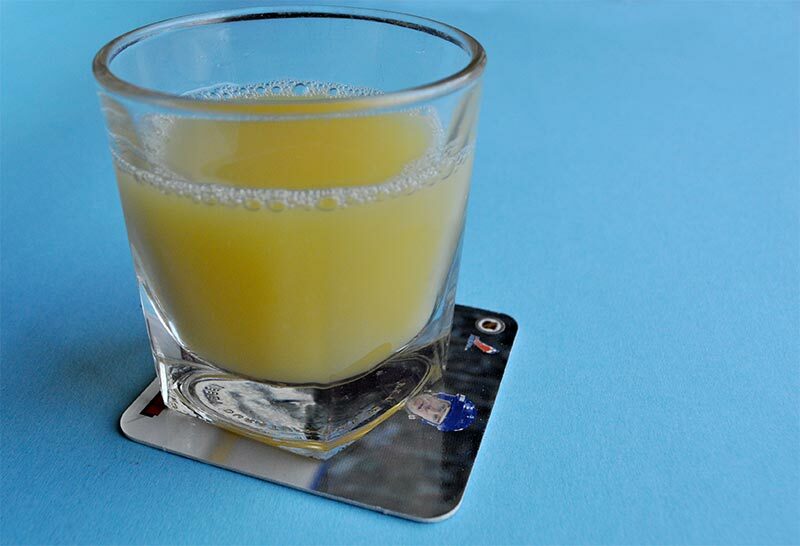 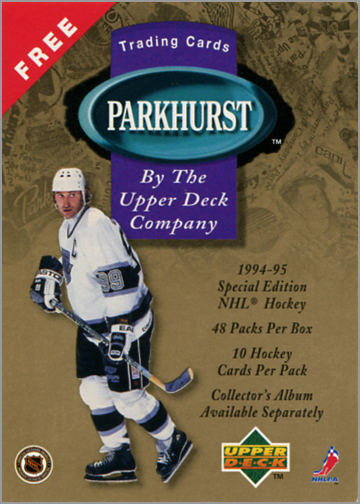 Back in the 1990s, many unlicensed hockey cards were made by those looking to quickly — and illegitimately — cash in on the booming sports trading card industry. 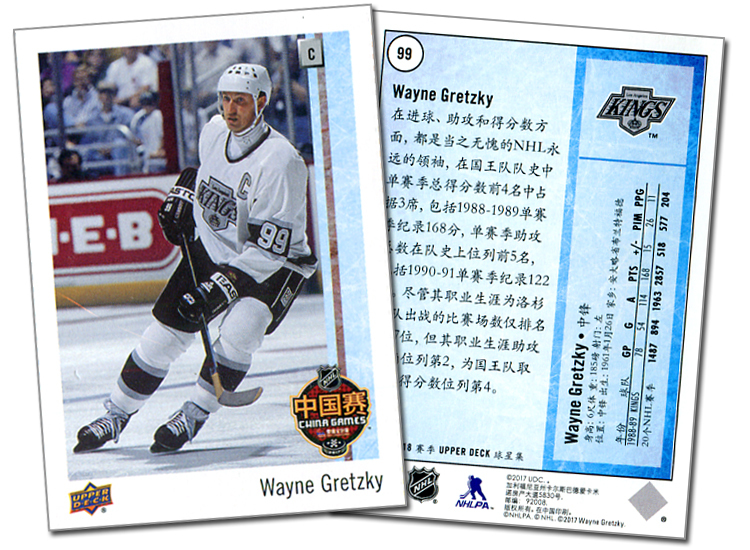 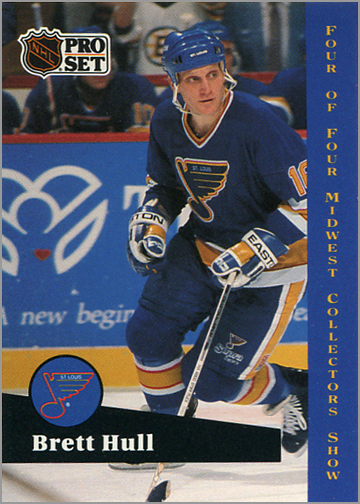 Some of the more notable fake cards that circulated include a card of Wayne Gretzky as a member of the WHA’s Indianapolis Racers, and another that featured Eric Lindros, Sergei Fedorov and Ed Belfour. 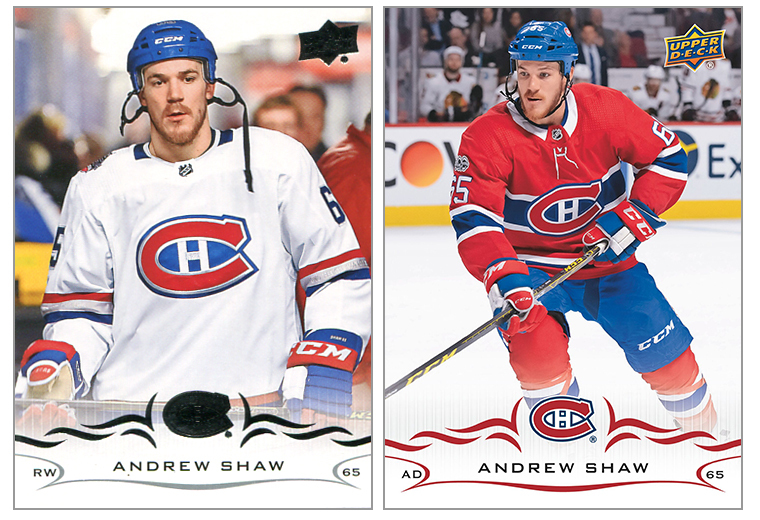 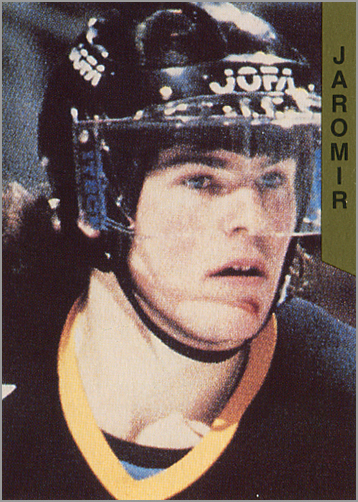 Allegedly, a men’s clothing store called “Man In Black” put out a cheap-looking, six-card set that featured popular Pittsburgh Penguins players. 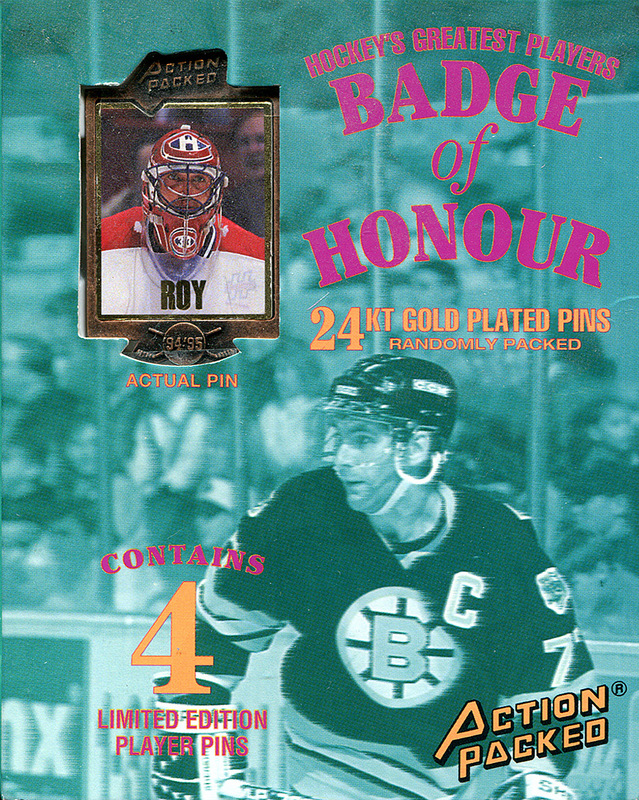 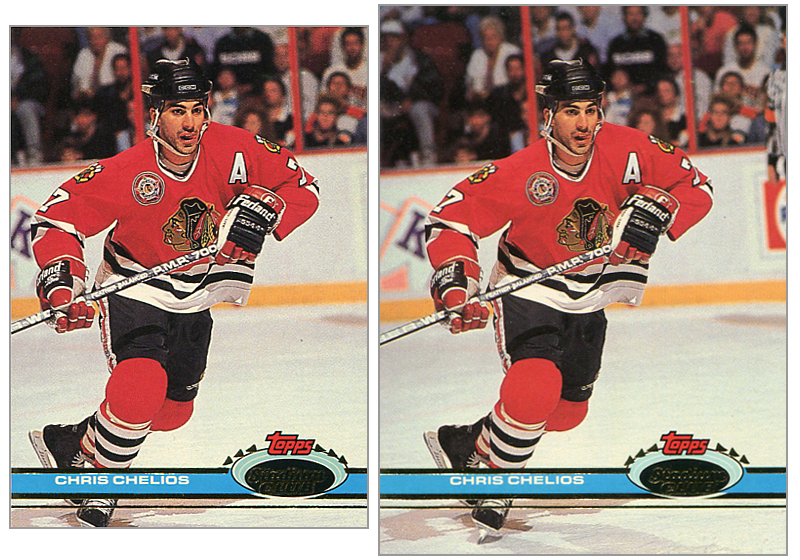 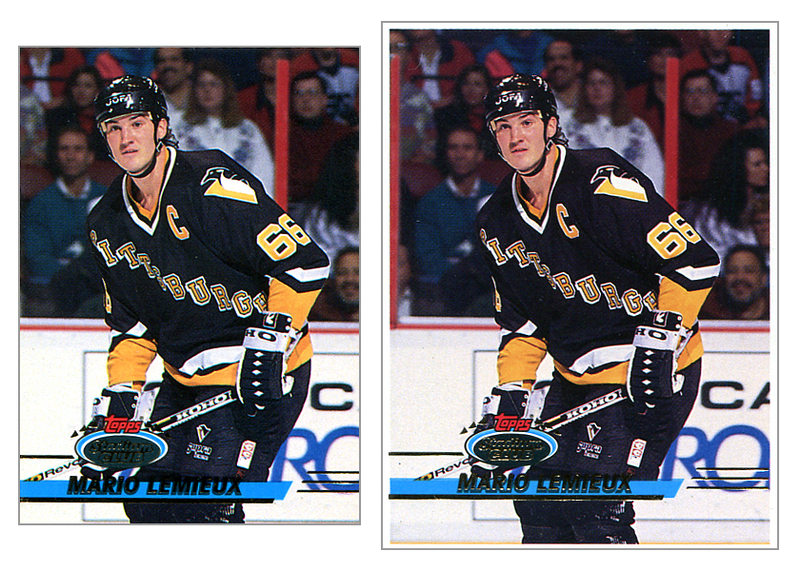 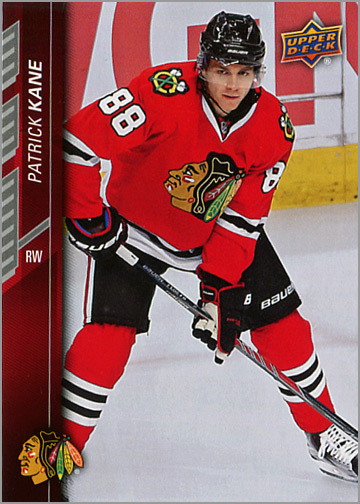 While the Penguins in the 1990s were great, these cards of them are awful.